Murom – is one of the first cities of Ancient Rus, deriving its name from Finnic-Ugor tribe Muroma, which translates as “the people on land”. The churches of Murom are exquisitely decorated. There are several functioning monasteries, among them Blagoveshchensky (Annunciation) Monastery and Voskresensky (Resurrection) Women's Monastery, Spaso-Preobrazhensky (Transfiguration of the Saviour) Monastery and Svyato-Troitzky (Trinity) Women's Monastery. 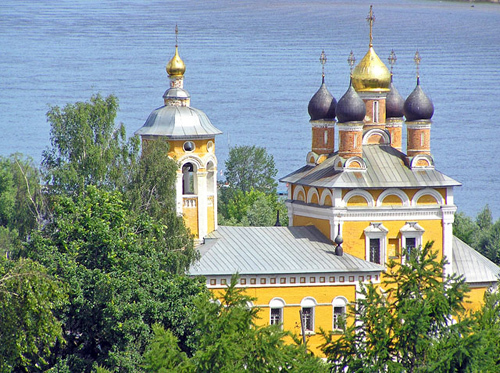 The Church of Cosmas and Damian is the most ancient building of Murom. To thank God for his victory Ivan the Terrible built a church resembling a tent on the very spot where from his own tent he directed his troops to Kazan. The Church of St. Nicholas’ Embankment – see photo.